‘You Are on the Fastest Route’ is Lassor Feasley’s MFA Graduate Thesis book. It captures his design work and thinking around the future of autonomous cars at the MFA Products of Design program at the School of Visual Arts. Lassor proposes a series of speculative interventions that help capture the best of car culture, while being mindful of its long term social, environmental, and economic consequences. The explorations were informed by Lassor's deep research into the cultural history of the mass-produced automobile. The work is both a critique of the past and a roadmap for the future. Read it in the viewer below. 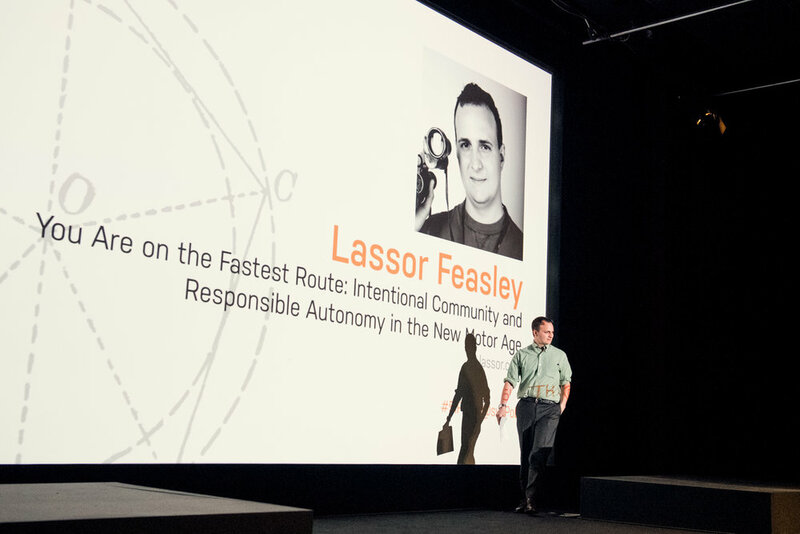 Lassor presented a thesis keynote based on You Are on the Fastest Route in May of 2018 at the SVA Theater in Manhattan. 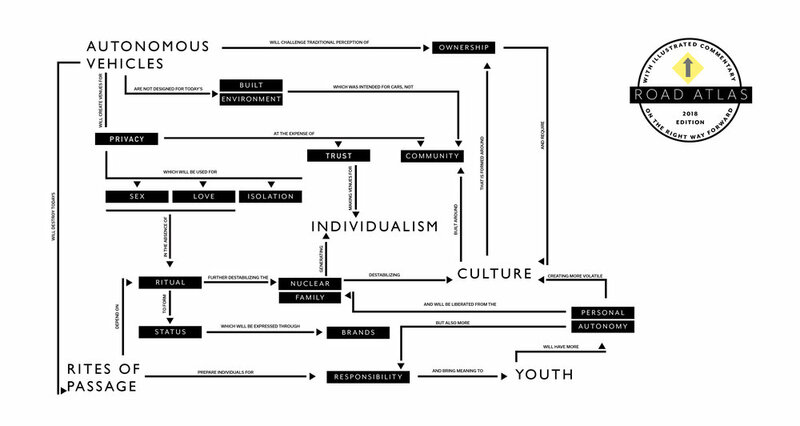 This concept map illustrates the relationship between various topics in 'You Are on the Fastest Route'.